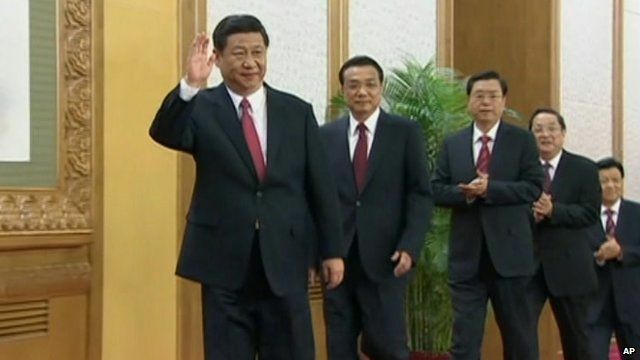 Xi Jinping has been confirmed as the man chosen to lead China for the next decade. Mr Xi led the new Politburo Standing Committee out onto the stage at the Great Hall of the People in Beijing, signalling his elevation to the top of China's ruling Communist Party. He replaces Hu Jintao, under whose administration China has seen a decade of extraordinary growth. The move marks the official passing of power from one generation to the next.